Life goals, side hustles and changing jobs: The advice you need. Life goals: These five rules will help you make extra time for your passion. Some people have cracked the code and get paid to do the thing they are most passionate about, but the rest of us work for money to do the stuff that really ignites our inner fire. Whether you fall into the former or the latter category, there is no doubt that doing more of the things you love brings you deeper happiness and greater peace of mind. 1. Make the time for the things you love. You know how you think your day is packed, but someone offers you something you can’t refuse and you simply make it work? Yeah, that. Make it work. Make your passion a non-negotiable in your week. If you schedule time into your weekly plan and ensure that you stick to it, the benefits will spill into the rest of your life. Research suggests people who do more of what they love are more content, have reduced stress, and even have stronger relationships. You can’t say no to that, right? 2. Put the good stuff in to get the good stuff out. When you respect and refuel your glorious machine through nutritious food and exercise, you will have greater energy for the things that are important to you. Kick-start the day with a great breakfast, and ensure you eat three balanced meals plus two snacks a day. Meals and snacks should be a balance of good carbohydrates, high protein, fruit and vegetables prepared with minimal processing for optimum health. A high-protein yoghurt such as YoPRO is a perfect accompaniment to a meal or as a snack as it has no added sugar with an extra hit of protein to keep you fuller for longer. Regular exercise improves your overall health but is also known to increase your energy levels. The increased blood flow to your body pumps more oxygen around your body and gives you a zing. The other bonus of a workout is endorphins, which can give you a feeling of euphoria (somewhere underneath the sweat!). Pro surfer Stephanie Gilmore fuels herself with YoPro. I wish I could surf like her! Image: Getty. 3. Surround yourself with people who support your passion. We hear exclamations of “Find your tribe” and you may think it sounds a little ‘mung-bean latte’, however your tribe is an important factor to nurturing your passion. Whether you need people to pursue your passion with, or a support team to help you get to where you want to go or even to help you have the time to pursue what you love, having people who high-five you and your efforts along the way is priceless. If the people around you don’t support your passion, remember to listen to your heart and the only expectations you need to live up to are your own. 4. Delegate the things you don’t need to do. One element we all need more of is time, but since we cannot physically fit more hours in a day we need to find the time for things we love by doing less of the things we don’t love. Writing a list of the things you love, like and loathe and palming off as much of the loathe stuff as possible is one way to do it. Another is simply to look at what you can give up, do less of, or pay someone else to do. Your time is valuable and you need to be spending it doing what fills your love cup. 5. And finally... don&apos;t self-sabotage. Sometimes our passion is something that we’re quite familiar with, but other times it can be something a little daunting. Maybe you’ve always wanted to do it, but you’re waiting for the right time or maybe it’s safer for you to leave in the “one day” basket. Well, there really is no “one day” - there is only today so it’s time to get serious about that passion and get cracking. Begin imperfectly, begin sloppily, begin without knowing every tiny iota about how it’s going to work. Just begin. Lao Tzu said “A journey of a thousand miles begins with a step” and that is never truer than when pursuing a passion. Release the fear, grab hold of your dreams and go forth into the wild. Danielle Colley is a food stylist, photographer, TV producer, lifestyle blogger and mum-of-two. What&apos;s your passion and how have you pursued it? Share with us in the comments below. We love hearing your stories. 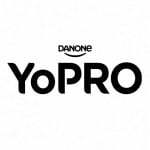 This content was created with thanks to our brand partner Danone YoPRO.